It is a pleasure to introduce the first book in the R/Rmetrics series not authored by the Rmetrics team. 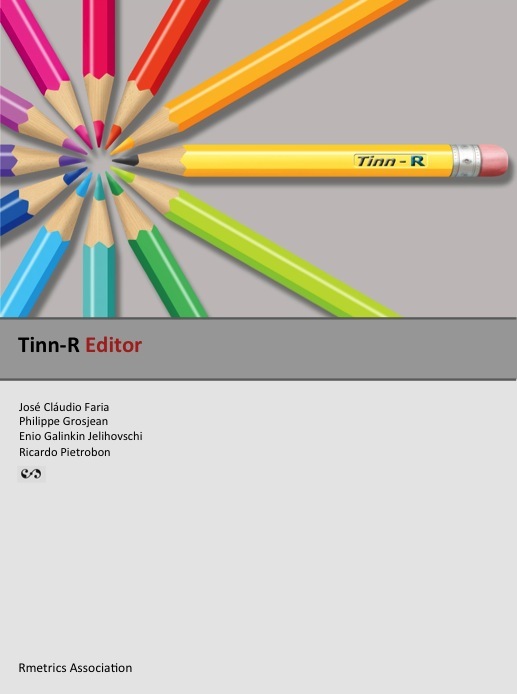 This book, by José Cláudio Faria, Philippe Grosjean, Enio Galinkin Jelihovschi and Ricardo Pietrobon, describes the tinn-R editor, a very powerful code editor for R. Tinn-R is the ultimate editor for R users onWindows. The functionality of Tinn-R goes far beyond that of a simple text editor; it allows you to define projects, highlight important syntax elements, and send R code to the console. Using Tinn-R allows you to be much more productive when working with R.
The book is divided into four parts: Overview, Basics,WorkingWith, and Menu Description. It not only provides a very readable introduction to Tinn-R, but also serves as a valuable reference. What do you get by using Tinn-R? Do I have to pay for Tinn-R? What was the motivation to start and maintain the Tinn-R project? What is the sentence we from the development team most like to hear? Which tools were used to create this user guide?